Mag Elisabeth WETZINGER BSc graduated in informatics management Mag.rer.so.oec/MSocEcSc., 2010) and media informatics (BSc, 2008) from the Vienna University of Technology and is currently writing her master thesis in media informatics. 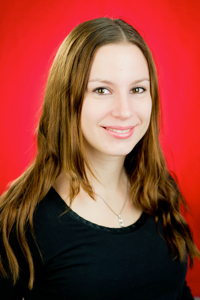 Since 2011 she has been working as a research assistant at Computer Vision Lab and is engaged in research as well as in project acquisition and project management. Her main research interests are in the fields of face recognition in unconstrained environments as well as in impact assessment concerning the use of images in social networks with primary focus on teenagers.